Peering is a feature that allows to connect two or more virtual networks and act as one bigger network. 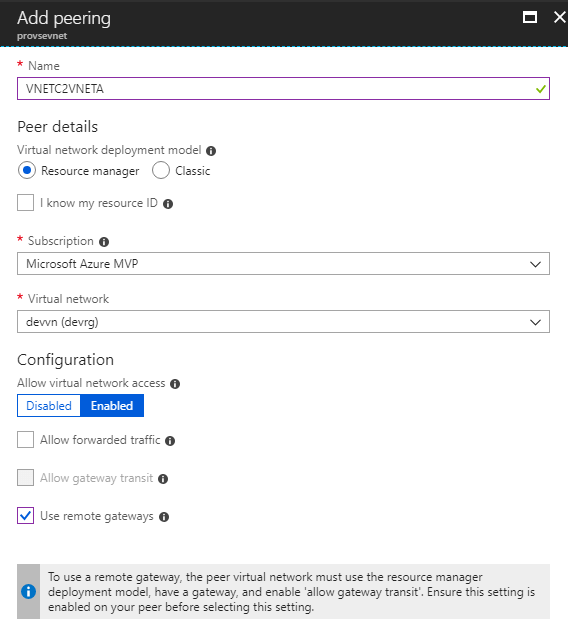 At this post we will see how we can connect two Azure Virtual Networks, using peering and access the whole network using one VPN Gateway. We can connect Virtual Networks despite if they are in the same Subscription or not. I have created a diagram to help understand the topology. We have a Virtual Network with Site-2-Site VPN wto On Premises. It can also have Point-2-Site connection configured. The VNET A. We have another Virtual Network at the Same Subscription that we want to connect each other. The VNET B. Also we can have a third Virtual Network at a different subscription. The VNET C.
The account that will be used to create the peering must have the “Network Contributor” Role. The Address Space must be different on each other and not overlap. 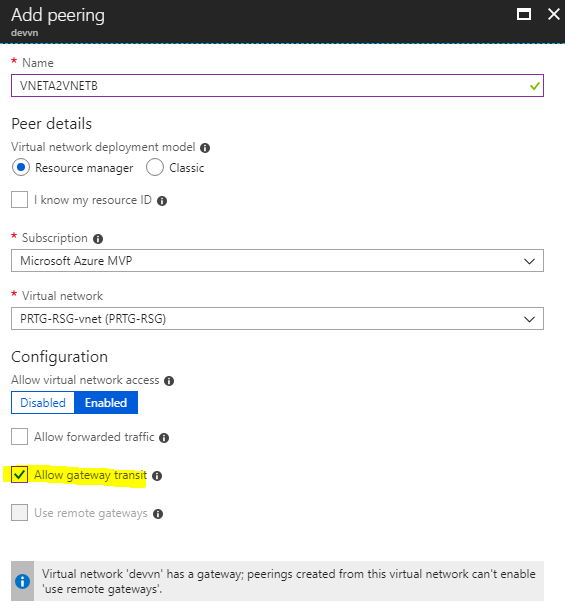 All other Virtual Networks, except the one that has the VPN Connection must NOT have a VPN Gateway deployed. Of course at the local VPN device (router) we need to add the address spaces of all the Virtual Networks that we need to access. 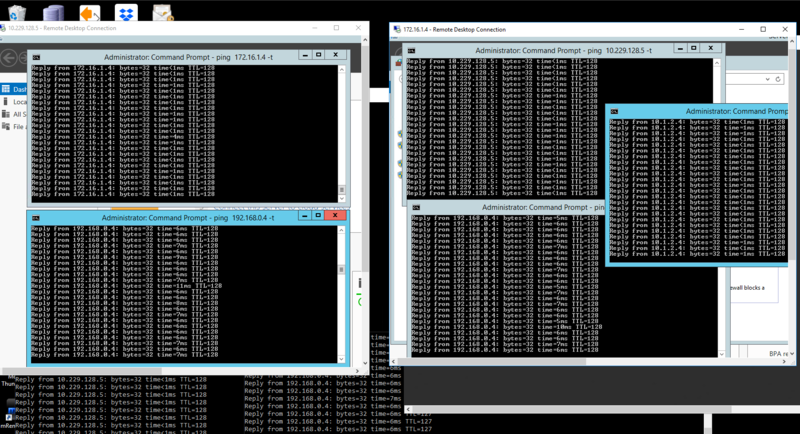 Now we need to connect VNETA and VNETB using Vnet Peering. in order to have a Peering connection we need to create a connection from VNETA to VNETB and one from VNETB to VNETA. 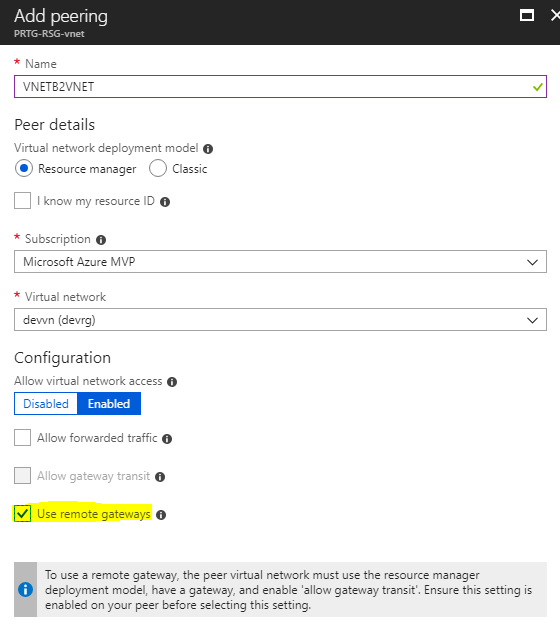 Then go to the VNETB, go to the Peerings setting and click +ADD. 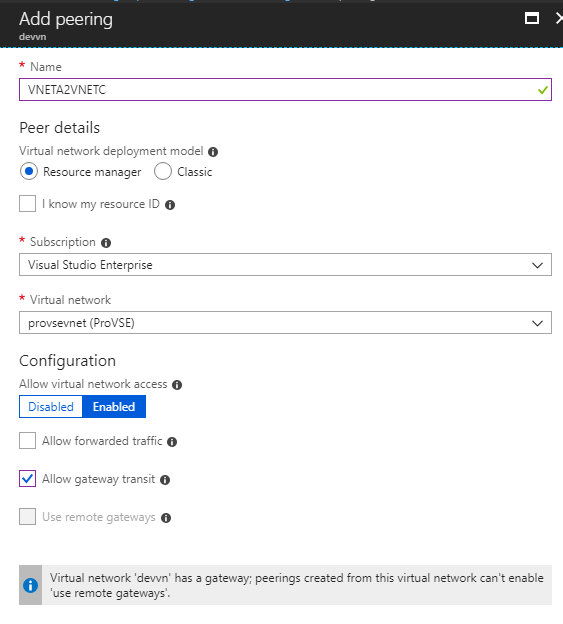 Select the VNETA Virtual Network and check the “Use Remote Gateway” to use the peer’s virtual network gateway. This way the VNETB will use the VNETA’s Gateway. 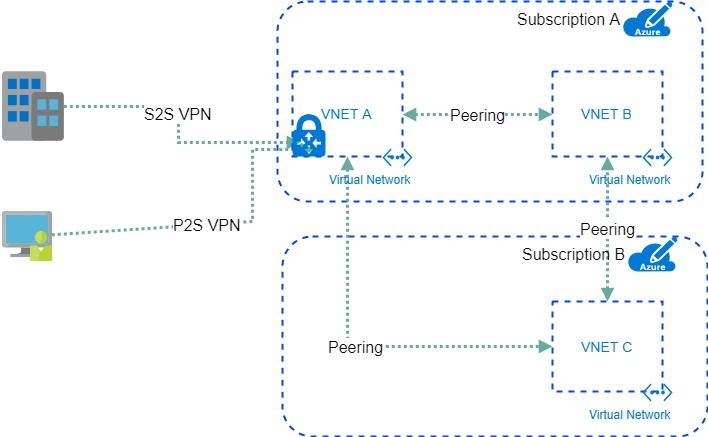 With the two above connections we have connectivity between the on-premises network and the VNETC. The final step, to enable the connectivity between VNETB & VNETC. 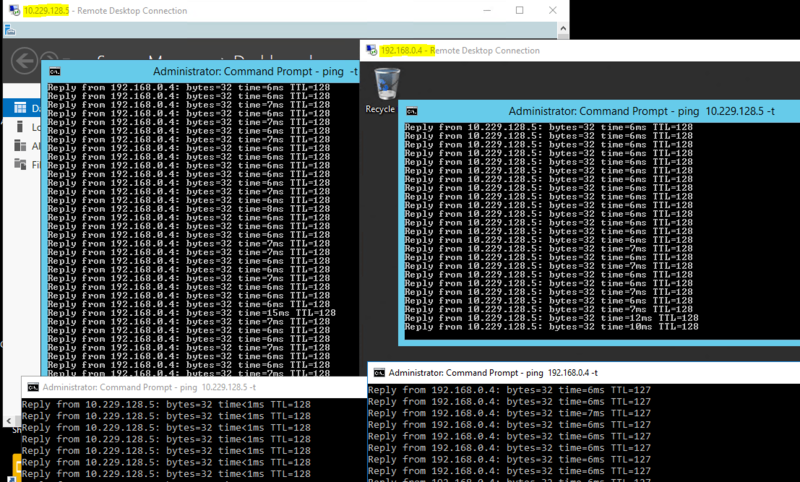 To accomplish this just create one peer from the VNETB to VNETC and one from VNETC to VNETB.